I’d love to share with you a really great activity that is good for the whole family. If your coming to Miami and your thinking to yourselves whats a great clean family filled activity that everyone can enjoy and no one will forget. Then my friends, what you need is a dolphin interaction activity. Dolphins activities have always been popular since their advent back in the late 1960s where it became a more public known activity. Today dolphin interactions have improved from the 1960s, from petting and touching dolphins, to interacting with them in shallow water, to doing a full dolphin swim with the dolphins. You can believe that a dolphin interaction is that kind of activity that builds and reinforces heartfelt memories between you and your family and friends. Check out this video..
With dolphin swimming facilities in Key Biscayne, Miami, you can choose between just simply watching these dolphins jump through hoops, and exhibit amazing feats of acrobat skill and technique, or you can do a famous dolphin encounter activity which you will actually be in the water with multiple dolphins and get a chance to swim with the dolphins Miami. But wait, if you really feel like going all out you can try the dolphin swim adventure, where you physically get to hold on to the fin of the dolphin and the dolphin will pull you through the water from one end of the pool to the other. Each dolphin type program come at varying costs and package orientations, making it very versatile and flexible for all people. This is by far one of the best activities that can be done in the great city of Miami. 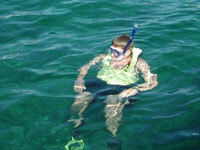 Find out more info for swimming with dolphins and get one today. 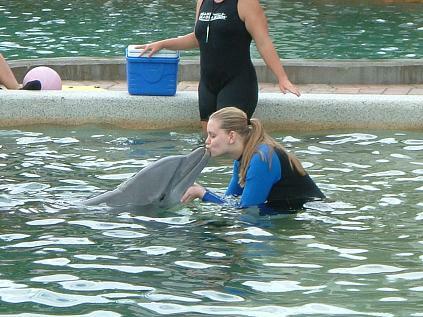 Dolphins are loving playful creatures, that live to interact and play with their human counterparts. Its simply a guaranteed wonderful time with these adorably cute , warm and loving creatures. Hello Johnny, I would like to know de costs for a First experience with dolfins for an half day, 2 adults and 2 children, 10 years at the end of april 2011. hope to hear soon from you. The cost to Swim with the Dolphins Miami is $199 per person, to Swim with the Dolphins Orlando is $293 per person, to Swim with the Dolphins Key Largo is $259 per person. Each program is a little different, click the links for each location and you will see more details. Since I moved to Florida during Spring Break many years ago, I remember how busy Florida is in April. So if you plan do anything with the dolphins, you need to make your reservation very soon. 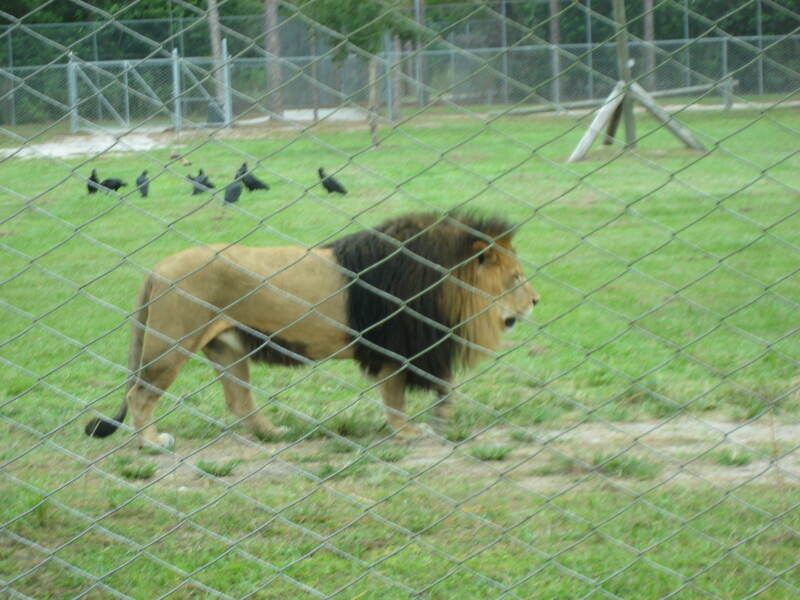 Email back your plans during your Easter Break vacation in Florida, I will do my best to give you some suggestions. I would like to know de costs for a First experience with dolfins for an half day, 2 adults and 2 children, 10 years at the end of april 2011. hope to hear soon from you. Thanks for your respons. We are in Miami and the Keys from 22 till 26 april. 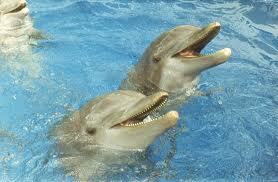 We would like to be with the dolphins for one hour, in Miami or Key West or Key Largo. It is our first time, so it should be wonderful. Advise us.